December 08, 2018 9 A.M.
Voted the Number 1 Themed Race in the Lehigh Valley according to The Lehigh Valley Running Scene, the Christmas City Classic 5-Miler and Candy Cane 5K will challenge you on the race course and send your Christmas Spirit soaring! The Christmas City Classic has been around for over 20 years, a long standing tradition in the running community! 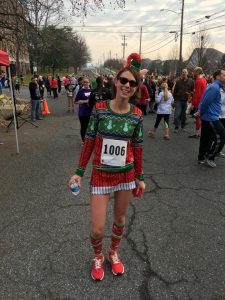 Most of our runners dress in Christmas colors or costumes which add lots of merriment to the races. 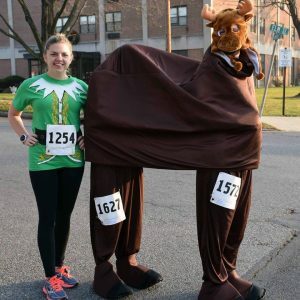 With fun and challenging courses, a festive and durable long sleeve shirt, refreshments including genuine Philly Soft Pretzels, and Christmas cookies, music at the Start/Finish and along the course and many more amenities, we’re sure you’ll be calling this event one of your most favorite running events during the most wonderful time of the year! Come and join us in 2018! Read the Morning Call article from 2014 Here. The Christmas City Classic 5-Miler and Candy Cane 5K benefit the Lehigh Valley Fellowship of Christian Athletes supporting student athletes in Lehigh Valley middle school, high school and college campuses. Thank you for making it a great race, we love the festive costumes! See you in 2019. Special thank you to this year’s title sponsor!